Upland Software is a enterprise work management company headquartered in Austin, Texas. They provide many cloud software services that are built around enabling organizations to work harder and smarter. Upland is constantly searching for new and exciting software that it can bring to its customers, and that often leads to multiple acquisitions each year. 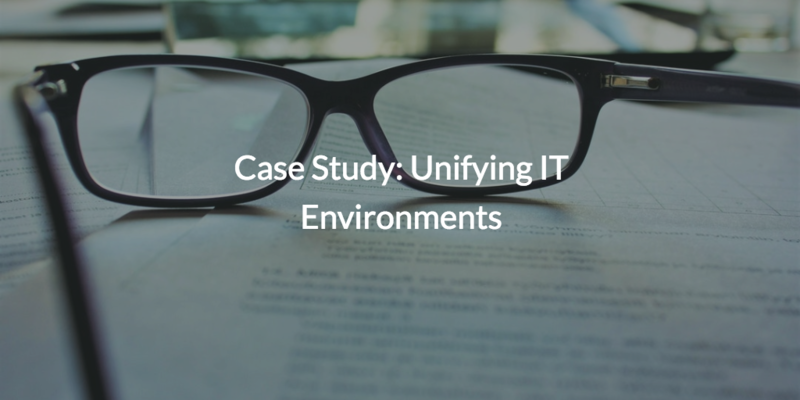 This tremendous growth strategy leads to many new users and heterogeneous IT environments entering the company, presenting a challenge for their IT team. Upland needed a directory that could not only keep up with their rate of onboarding, but one that could also handle the Mac, Windows, and Linux systems (as well as variety of apps) they encounter. Now that Upland is using JumpCloud Directory-as-a-Service® (DaaS), they know they have a solution that can handle their heterogeneous IT and onboarding requirements. With one centralized cloud directory, Upland has been able to more efficiently manage their heterogeneous resources and improve efficiency when onboarding new users and environments. If you want to read Upland Software’s case study, you can find it by clicking on the image below. For centralizing IT resources, securing access to heterogeneous systems, managing remote workers, and much more, JumpCloud Directory-as-a-Service was the ideal platform for Upland Software. If your office could benefit from moving the directory to a centralized cloud directory like DaaS, come check out the directory of the future. JumpCloud Directory-as-a-Service is Active Directory® and LDAP reimagined for the modern world. JumpCloud can securely manage and connect users to applications (on-prem or cloud), systems (Linux, Mac, or Windows), files (cloud or local storage), and networks (wired or WiFi), all from the cloud. This mean that regardless of the platform, protocol, provider, or location, you will be able to connect a user to the IT resources they need. Learn more about JumpCloud Directory-as-a-Service by reaching out to our team. We would be happy to answer any questions that you might have. You can also find tons of in-depth information in our KnowledgeBase. Alternatively, you can see a live demo of the platform by signing up here. Finally, If you are more of a hands on person, you can also try out the platform for free – no credit card required. Directory-as-a-Service is the modern directory for modern IT, see if it can benefit your organization!